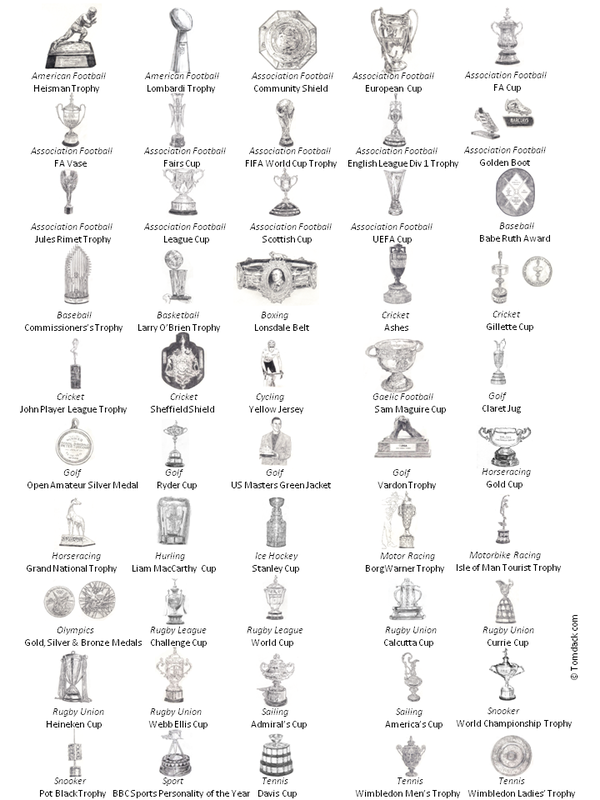 Images are taken from the book "The World's 50 Greatest Sporting Trophies." The book is available by clicking here. Individual black and white prints prints of each trophy are available by clicking at the bottom of the page. Prices are €15.00 for a 21cm x 15 cm print and €10.00 for a 10.5 x 7.5 cm print. Prices include P&P and a cardboard frame. Please specify which trophy you want when placing your order. Please specify which trophy when ordering. Prices include P&P.